The material type of our adhesive products includes ESD safe polyethylene film, non-woven PET, and reusable adhesive foam. Try our Step One Adhesive Mats which are made from thin layers of adhesive coated polyethylene film for secure positioning of the mat to the floor. 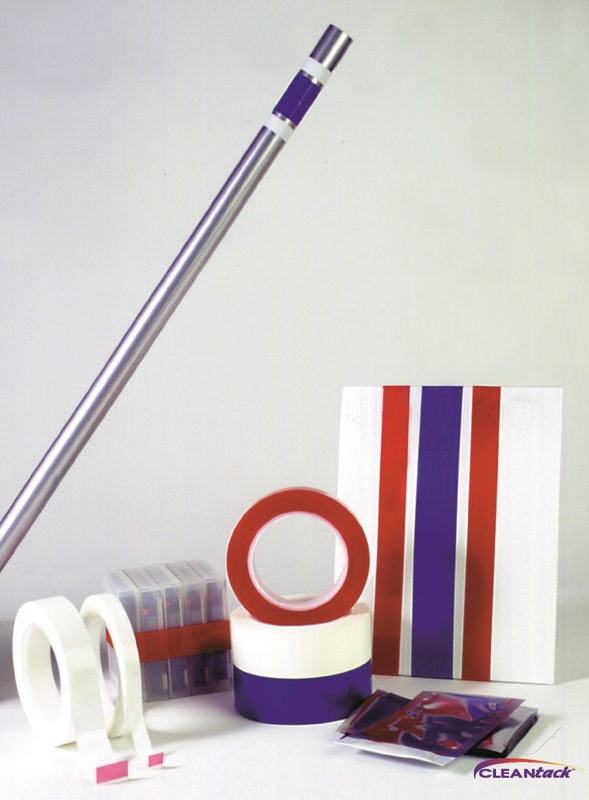 Our CLEANtack Cleanroom Tape is made from low density polyethylene film with pressure sensitive adhesive backing. Or choose from our CleanRoll adhesive rollers which are ideal for removing dust from smooth surfaces, Foam Rollers made especially for cleaning textured surfaces, and Handles that are available in a variety of styles.